Ah yes, the great oil debate! You’ve always used conventional motor oil, your service technician is advising you that synthetic oil is better for your vehicle and you’re left wondering what to use. Let’s dive into some frequently asked questions! Well, some of it does depend on the climate you are driving in. Dirtier and dustier climates might require you to change your oil more frequently. If you’re driving around Rochester, typically synthetic oil will last you longer. While true results vary, a synthetic oil will outlast and perform better than your standard motor oil. Which oil is better for my vehicle? Synthetic oil, because of how it’s made, will keep your engine cleaner, offer greater engine wear protection and protect better at higher temperatures. As conventional oil circulates through your vehicle’s engine, it can pick up deposits and over time that can turn into a sludge-like substance which can reduce efficiencies. Why does a synthetic oil change cost more than a traditional oil change? Traditional oil is refined from primarily crude oil while synthetic oil is created in lab, through a more refined process, with a combination of different substances. All of which factor into the cost. Is it true that synthetic oil performs better than traditional oil in cold temperatures? In the Rochester climate, synthetic oil really is a game-changer. What’s different about synthetic oil is that it’s so viscous even in the coldest of temperatures. In addition, synthetic oil has the ability to cling to metal better and even absorb into some porous surfaces. All of these attributes together make its cold start performance unrivaled. Watch this video from the Mobil 1 Cold Weather Oil Test to see how conventional oil’s pour rate compares to synthetic oil at extreme arctic temperatures. My service technician told me my vehicle requires synthetic oil. Is that true? Manufacturers are constantly working to redesign engines to meet the fuel efficiency needs while complying with emissions standards. In order to do that, engines have to work harder and burn hotter. Traditional or conventional motor oil can’t withstand the heat but synthetic oil can. Most new vehicles actually require synthetic oil. Not using synthetic oil in these vehicles have the potential to do harm to your vehicle. 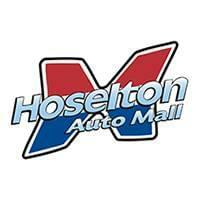 Before making any decision, make sure to read your owner’s manual for details about your specific make and model. Once I’ve used synthetic oil, can I go back to traditional oil? Yes you can. This is one of the most repeated myths out there. You can switch between synthetic and traditional oil because synthetic blends are just that – a blend of synthetic and convention oil. They are compatible and therefore not harmful if you decide to make the switch. Now, your engine may get dirtier quicker and the oil should be changed more frequently but your vehicle should be fine. 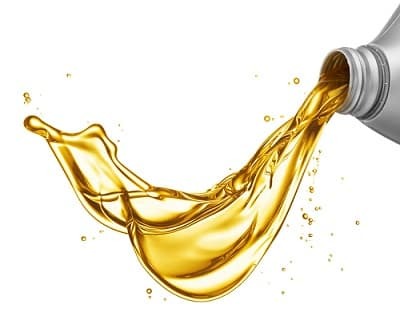 However, if your vehicle requires synthetic oil as we talked about before, then switching to conventional motor oil will not be in your vehicle’s best interest. Ultimately you need to make the decision that’s best for your vehicle’s performance. Some cars, trucks and SUVs require synthetic oil while others do not. 0 comment(s) so far on Synthetic or Conventional Oil: Which is better for your vehicle?